The 2018 Captain's Day for both Captain Fergus and Lady Captain Assumpta passed off very successfully with good golf on the course and great food,chat and entertainment off it. All the results of the Men's Prize are in the Mens Results Section and the Ladies Results are in the Ladies Results Section. Photographs of the night's Presentation are in the Photo Gallery. 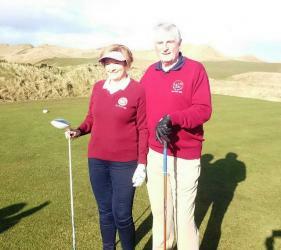 The Captain Fergus and Lady Captain Assumpta will hold their Captain's Day on Sunday week July 22nd. The weekend starts with a Mixed Scramble on Friday evening with a Draw at 6 pm. On Sunday the Mens Competition will be an 18 Hole Stableford competition with the Best 20 and ties playing a further 9 holes in the evening. The Ladies will be a straight 18 Hole Stableford. 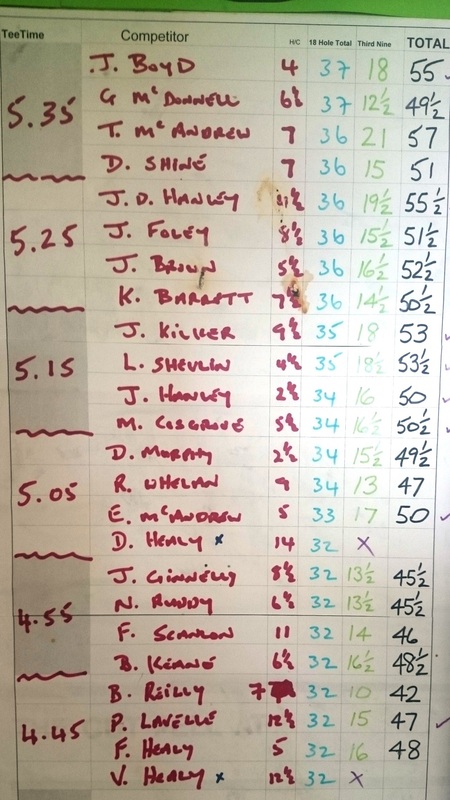 Entry sheet for the Mens competition is in the changing room and the Draw will be conducted next Sunday. 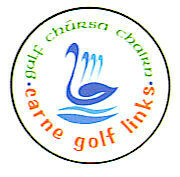 If you wish to play and are not in the locality before then you can contact the Competition Secretary Jim Brown on 0879898862 for inclusion. It is hoped to have the Presentation of Prizes around 9 pm with a Buffet followed by music and entertainment. The Buffet is €11 per head and a very limited amount of tickets can be bought on the night. To give the Restaurant and Kitchen ideas of numbers on the night it would be appreciated if you could pre-order or purchase your ticket(s) this week to let them know you intend to dine. Who will succeed Tom McAndrew ? and, will 57 points be enough this year ? And who will succeed Rita Walsh as holder of the Lady Captain's Prize ? The fun begins next Sunday at 0700 and around 1200 for the Ladies.